Pharrell Williams is making a difference on Good Friday, heading down to L.A.'s Skid Row to help out some folks who are less fortunate than him ... filling up bellies and putting smiles on people's faces. 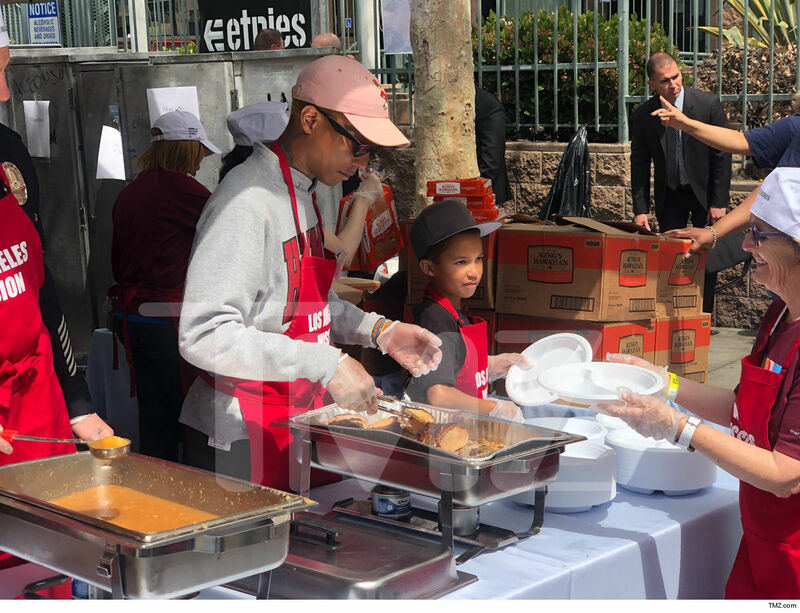 Pharrell and his son, Rocket, spent part of their day serving up meals at the Los Angeles Mission ... spreading messages of hope and love making sure everyone got a hot meal ahead of Easter Sunday. The Good Friday meal is an annual tradition on Skid Row. In addition to hot meals, the homeless get shoes and Easter baskets. This year, roughly 4,000 people were fed pork with an apple glaze, King's Hawaiian rolls, a side of mac and cheese and peach crisp for dessert. Pharrell makes sure to volunteer at the L.A. Mission a few times a year ... he also lent a helping hand during Thanksgiving. Before she was running her own empire -- on TV, anyway -- she intended to study electrical engineering before switching gears and deciding to study theatre at Howard University. She had tons of small TV roles before really bursting to stardom ... cemented with an Academy Award nomination for her role on "The Curious Case of Benjamin Button." Before that, she was cast in a couple of critically-acclaimed movies. Her career would later skyrocket after taking on a role as a pioneering woman in the space industry. She was born in the rough streets of Washington, D.C. and has one child. Shareef O'Neal is making a dramatic return to the basketball court ... stepping back onto the hardwood 4 months after undergoing heart surgery!!! 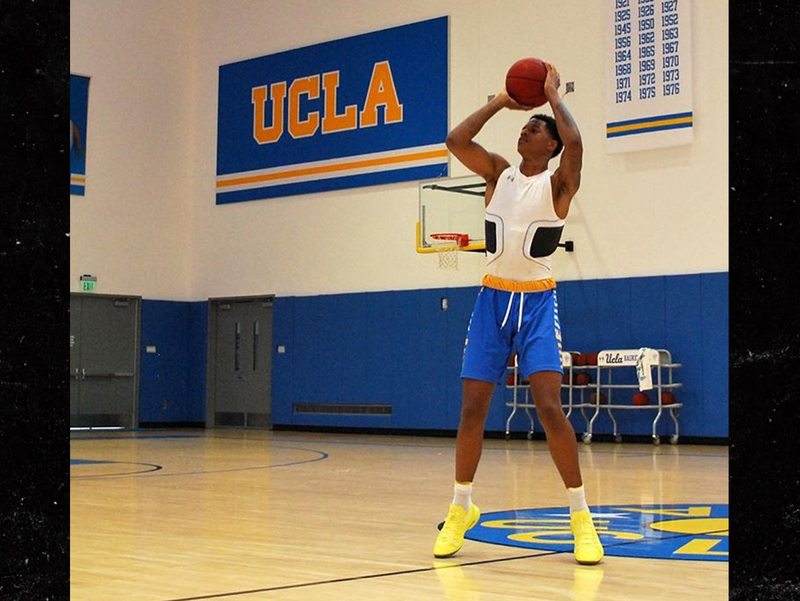 The UCLA star posted a picture Wednesday evening of him getting some shots up on campus ... and it's great to see him playing the game he loves. Shareef missed his entire freshman season after going under the knife in December to correct an irregularity with his heart ... and his post-op pictures proved just how serious the procedure was. Shareef's return is great news for UCLA and new head coach Mick Cronin ... the Bruins struggled to a 17-16 record without the services of the star recruit, missing the NCAA Tournament by a mile. When we got Shareef out at Staples Center in early March, Shaq's son told us he was about 6 weeks away from returning to the floor ... and it turns out his timetable was spot on. Dustin Johnson and Paulina Gretzky's 1-year-old son is getting lessons on how to be hockey's next biggest thing ... from grandpa Wayne!!! Paulina and D.J. posted the adorable vid of Rivers Johnson -- their youngest child -- with The Great One ... and we gotta say, it's hard not to see the resemblance. Wayne and the little Gretzky did some stick handling drills ... with Rivers even gettin' a few past Grandpa!!! Of course, Dustin and Paulina's kids (they have a 4-year-old son as well) have some tough choices to make when it comes to sports ... Dad is a pretty good golfer too. But, something about this vid just screams future L.A. King ... doesn't it?!?! Paulina Gretzky In Paris With Dustin Johnson, We're Still Together!! Wayne Gretzky NHL Rookie Jersey Hits Auction Block, Could Fetch $400k!! 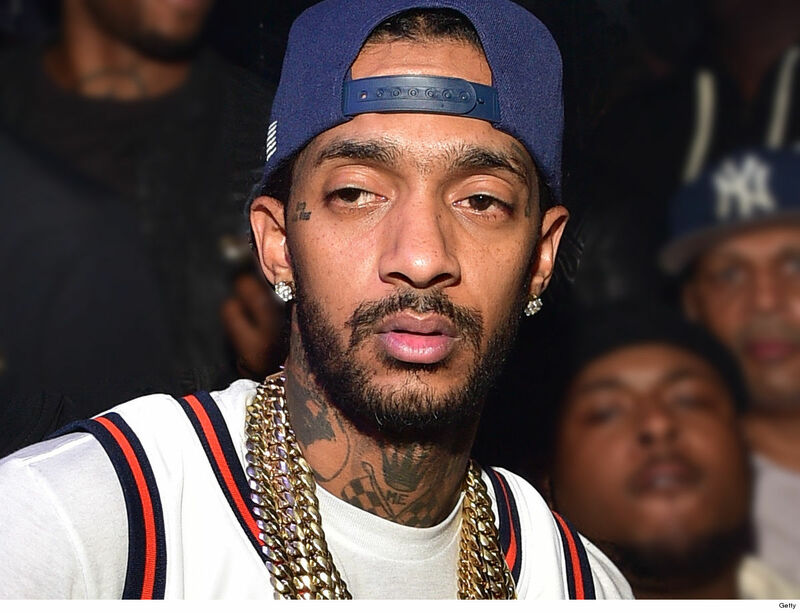 Nipsey Hussle's family is politely shutting down any fundraising efforts to support his kids -- even from celebs -- because turns out their father made sure they'd be financially secure. 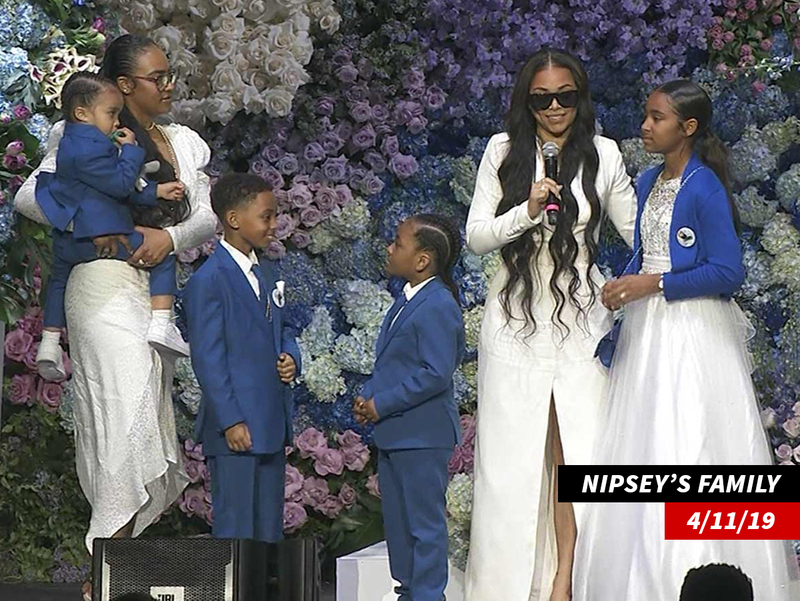 Sources close to Nip's family tell TMZ ... Nipsey made sure his 2 children, Emani and Kross Asghedom, would never have to rely on other people for money. While there have been multiple crowdfunding pages popping up for them -- including the one retired NFL star Reggie Bush started -- we're told the family wants everyone to know the kids are more than alright. Nipsey was remembered as a savvy businessman during his celebration of life ... and for good reason. We're told he owned all of his master recordings, his Marathon Clothing store, and he also set up multiple trust funds to make sure his kids and family would never need a handout. As we reported ... Bush set up a GoFundMe in hopes of raising $100,000 for Nipsey's kids, personally chipping in $10k to get things started. But, that fundraiser has already been scrubbed from the internet. 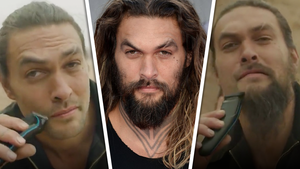 We're told the family is grateful for the outpouring of support, but as one source put it -- Nip just wouldn't want it that way, and since he left his family financially secure ... it's just not necessary. Guess Who This Stoic Kid Turned Into! Before this strapping little dude was an overall epic Hollywood celebrity, he was just another coiffed kid growing up in Miami, Florida. Can you guess who he is? Robot Guy on 'Chapelle's Show' 'Memba Him?! Well, this is adorable ... in a violent way. When Dustin Poirier's daughter saw his face after the Max Holloway fight, she was genuinely worried for her daddy ... saying, "Oh no! You have a boo-boo dad!" The footage is ridiculously cute -- and shows how sweet UFC fighters can be with their families when they're not destroying other people in the Octagon. Of course, Dustin won a crazy bloody 5-round brawl with Holloway for the UFC interim lightweight title ... a fight where Dustin took some serious damage to the face. One report says Poirier took 208 total strikes during the UFC 236 co-main event -- which is A LOT. The good news, Dustin seems to be feeling pretty good, despite the bruising -- and told his daughter he was taking her to the zoo so they could "see the animals!" After the fight, Dustin and Max couldn't have been more respectful toward each other -- each praising the other fighter for battling their hearts out. Now, Poirier has to heal up and get back in the gym -- Dana White told us he's now slated to fight Khabib Nurmagomedov in Sept. for the undisputed UFC lightweight championship. Justin Gaethje Says He Wants To Fight Khabib, Never Fought A Guy Like Me!! For the first time, Wendy Williams talked about her divorce on her show, revealing what she's got cooking for post-breakup life ... and it's gonna be tons of QT time with her son. On Monday's episode Wendy made her a clear reference to the fact she's filed to divorce Kevin Hunter. She talked about a new life that'll heavily revolve around her son, Kevin Jr. The crowd also went wild when she announced she's just a few days away from moving out of a sober house. Check out the clip ... Wendy stopped short of using her estranged husband's name -- remember, he's an executive producer on the show -- but made it clear she's in moving on mode. As we reported ... Wendy called it quits with Kevin after almost 22 years of marriage amid tons of cheating rumors. Khloe & Tristan Set Differences Aside ... For True's 1st Birthday Bash!!! Khloe Kardashian understands better than anyone, a daughter needs her father ... so it should come as little surprise Tristan Thompson was front and center for True's 1st birthday party. Khloe and Tristan reunited over the weekend to celebrate their daughter turning 1 ... and it was truly an epic bash. For starters ... Khloe and little True wore matching blue August Getty Atelier outfits. Kim, Kourtney and their broods were also there ... as was Kylie. Kendall was a no-show ... Coachella calls. There were TONS of balloons, ponies, a donut wall (!!!) and even a cotton candy vendor. And, how cool is this -- Khloe told attendees no presents for True, but instead asked everyone to bring presents to be donated to Children's Hospital Los Angeles. Check out the vid ... Tristan couldn't look prouder of True, who sported some nice bling around her neck. And, if you look closely ... there's a quick glimpse of Khloe and Tristan interacting when it appears she's gonna hand off True to him. It's clear ... they've called enough of a truce since their ugly breakup to hang on True's bday. Not that it's a competition, but cousin Stormi celebrated her 1st birthday in February. So, whose was better? Guess Who This Popsicle Pipsqueak Turned Into! Before this bright-eyed kid was was an ice-cold character on the best TV show ever made, she was just another English girl living the sweet life! Can you guess who she is? 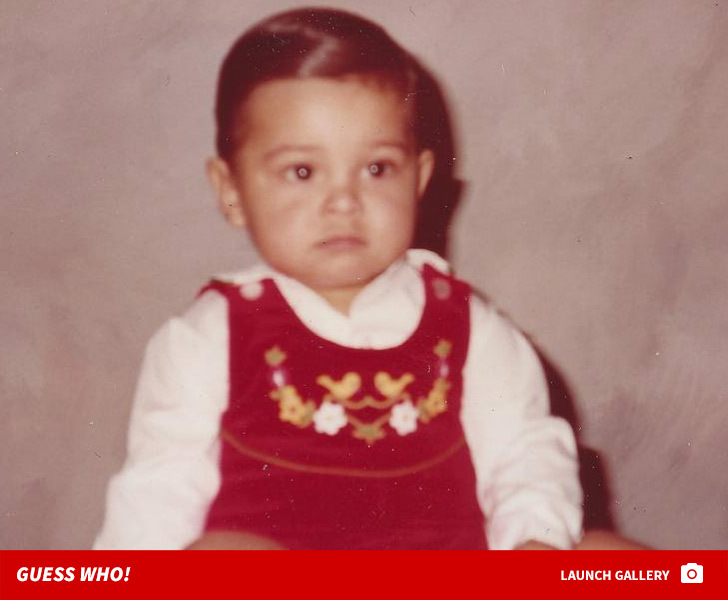 Guess Who This Chic Kid Turned Into! Lori Loughlin looked like she didn't have a care in the world as she yukked it up with her daughter, Isabella, Friday afternoon, but there's no doubt this is all for the sake of appearance. Lori and Isabella were out and about in Bev Hills and were all smiles and laughs as they waited for the valet to bring their car around. It's anything but a fun time in their lives these days. Lori and hubby Mossimo Giannulli face felony charges for allegedly paying a $500k bribe to get Isabella and Olivia Jade into USC by hook or crook. Prosecution sources tell TMZ, any plea bargain they strike will have a prison recommendation attached, although it's ultimately up to the judge. Olivia Jade, who clearly didn't really want to go to college, reportedly isn't speaking to her parents she's so pissed off and distraught over the whole mess. We haven't seen Olivia Jade with her parents since the scandal broke last month. There are 50 indictments and counting. Before this fashionista was showing off her style around Hollywood, she was just another trendy gal growing up in London. Can you guess who she is? Tiffany In 'Step Brothers' 'Memba Her? !